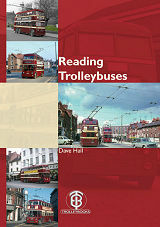 Everything you ever wanted to know about the silent, smooth and pollution-free trolleybuses of Reading in a new book, published to commemorate 50 years since their disappearance. Telling the whole story of the history, the politics, the economics and the many dedicated individuals who made the service provided by Reading’s trolleybuses exemplary, with a few local difficulties along the way. From the tentative trials and then free rides on a trolleybus on Erleigh Road in 1936, through heydays in the 1950s and 1960s to closure in November 1968. The story presented is detailed and comprehensive, told over 278 pages, together with 412 photographs, maps and diagrams. 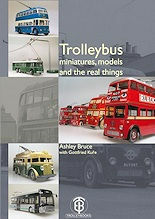 An entirely new edition, based on Trolleybooks' 1991 publication, but thoroughly updated. 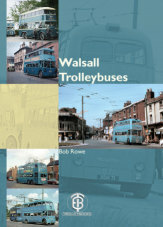 Our Walsall Trolleybuses publication documents the full history of this Black Country system from small beginnings in 1931 through innovative vehicles and extensive route developments during the 1950s to inventive management and then closure in 1970. 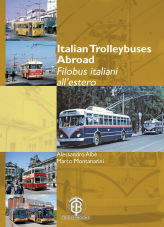 With full details of the personnel involved, the progress of all the new and second-hand trolleybuses and over 400 images that fully reflect the system geography, the operational artefacts and historic events. Told over 232 pages of highly researched narration, that have been evolving over 30 years of the authors commitment. 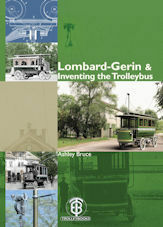 A very detailed story of the invention of the Trolleybus between 1882 and 1914, particularly through the achievements of Louis Lombard-Gerin (1848-1918). Covering American, British, French and German developments by examining the individual inventors, their successes and failures and their influences. 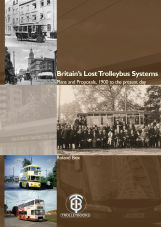 158 pages of every aspect of the engineering and economic contexts of early Trolleybus history, with 348 photographs and images. By dispelling myths and with original research, this book uncovers a surprisingly relevant story of railless electric traction, its purpose and need. 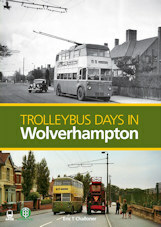 Trolleybus Days in Wolverhampton traces the history of trolleybus operation in Wolverhampton from its early beginnings in 1923, through the development of the 1930s and on into the war-torn days of 1939 to 1945. The golden years from 1950 to 1960 have also been documented, as has the fight by the people of Wolverhampton to retain the system, culminating in its sad and final demise on 5 March 1967. 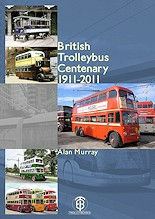 Trolleybuses represented an important part of the history of transport development in the British Isles and all events are fully covered and written in a detailed but not dry style that can be enjoyed for pleasure and research alike. A full set of appendices is included, covering route wiring maps, timetables and tickets, operational equipment and fleet histories. 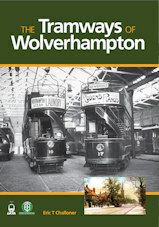 The Tramways of Wolverhampton traces the history of the Wolverhampton tramway system from its earliest horse-drawn beginnings in 1878, through the subsequent electrification of the routes in the early 1900s, with the controversial decision to use a system that proved to be unique to the town (and indeed the world), resulting in the town having to endure route isolation from other tramway operators until the eventual, and somewhat inevitable, wholesale conversion to the more conventional form of overhead wire operation in 1921. The gradual contraction of the system and change to trolleybuses between 1923 and 1928 is also covered in detail. 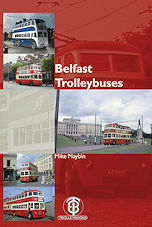 Mike Maybin's definitive history of one of the most complex trolleybus systems built - Belfast in Northern Ireland. 256 pages of every aspect of a highly successful thirty years of trolleybus operation. Covering all 16 prototypes through to a supposed forerunner of a new generation, the book details not only the vehicles but the operation of 35 routes and the famous 1958 overnight change to one-way running in the city centre. The personalities, the battles and planned ideas are all thoroughly covered to give a very real feel for a major undertaking. ISBN: 978-0-904235-24-1 Weight: 1550g. Cost : £32 + p+p. ISBN: 978-0-904235-23-4 Weight: 2150g. Cost: £25, with free p+p! Total weight: 110g. Cost: £16 + p+p. 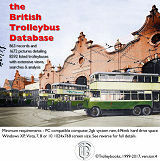 This 68-page A4-sized book with full-colour soft card cover traces the 100 year history of the trolleybus in the United Kingdom, both in service and in preservation. Lavishly illustrated with over 170 photographs plus the original 1911 trade article celebrating the joint starting of operation in Leeds and Bradford are finely reproduced. Total weight: 445g. Cost: £12, now £7 + p+p. 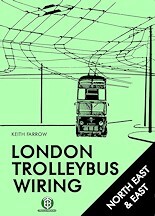 The fourth of a series of A5-sized books examining the history of the overhead wiring provided for London trolleybuses, dealing with each and every junction, short-turn facility, terminal arrangement and depot wiring layout. There are thus lots of layout diagrams, monotone and now colour photographs to illustrate in great detail, over 184 pages. Total weight: 414g. Cost: £17.50, now £7 + p+p. 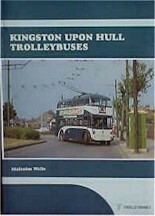 Told within 136 pages of a softbound A4-sized book, with full-colour laminated card cover, there are three well-chosen colour sections, together accounting for 13 inside colour illustrations, which, plus the four on the cover, capture the essential flavour of the Hull trolleybus system. Cost: Now available at £7 + p+p.